The year 2011 has seen a dip in the number of billionaires in India from last year, thanks to the vagaries of the stock market. But that does not seem to have daunted the appetite of the rich for a set of super luxury wheels in their garage. The year 2011 has seen an increase in the number of super luxury cars homing in on India, and a significant notch up in sales for brands that came in last year. So, now the richie-rich can pick and choose from among Aston Martins and Ferraris, Maseratis and Rolls Royces, Bentleys and Lamborghinis. One of the reasons for this upswing may be the increase in the population of high net worth individuals (HNIs) in the country since 2009. 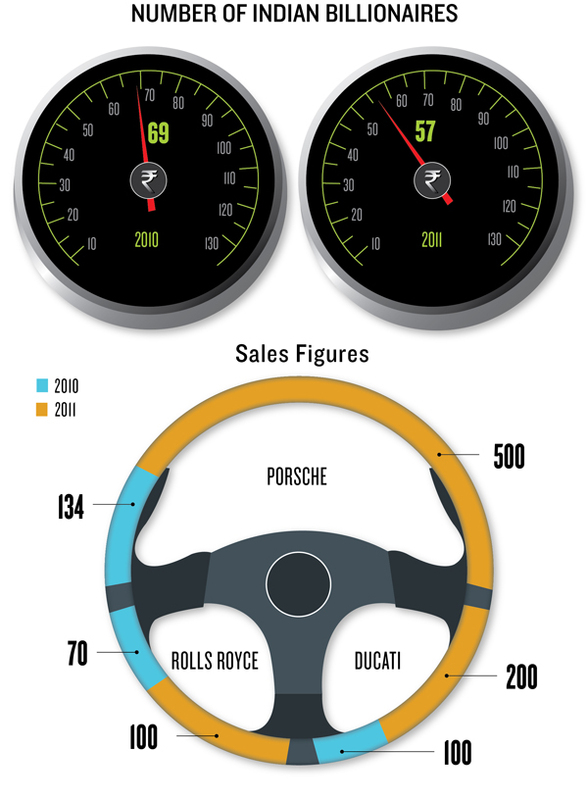 Here’s a look at how some of the super luxury automobile brands fared in 2010 and how they are expected to perform in 2011.